Larenda serves as SMU’s first Associate Provost for Continuing Education. Together with a collaborative team throughout campus, she builds upon the ongoing vision of student-centered, external-facing educational offerings to enrich lives, foster innovation, and enhance productivity. An international leader in professional, online, and executive education, Larenda provides university-wide leadership to prioritize, coordinate, support and grow continuing and extended education, creating strategy to build on notable previous efforts. 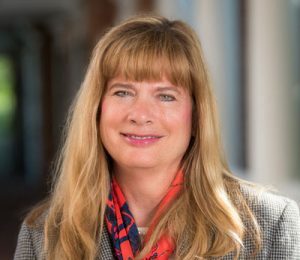 She oversees continuing education programs and the Masters of Science in Data Science (MSDS); she additionally works with the new Continuing Education Program Council (CEPC), comprising the deans of academic units and chaired by the provost. Using the latest technological advances in teaching and learning, harnessing the synergies of a university-wide effort, and including those attending SMU online and at a distance, Larenda and her team advance the university’s upward and outward trajectory while driving cutting-edge excellence and leadership.